ASME Section VIII Part UHA-51 Impact Tests – Revisited - Meyer Tool & Mfg. In our July 2012 issue we discussed “ASME Section VIII UHA-51 Impact Test: Changes Affecting Cryogenic Vessels Made from Austenitic Stainless Steel”. This article prompted an email last month from reader Walter Detlef of Linde – Kryotechnik. In his email, Walter made assertions that raised two interesting questions not covered in the original article. At this point we should say the following are our opinions. The interpretation of this section is dependent upon your internal practices, weld processes, and qualification documentation. The actual practice of these matters should be discussed between you and your Authorized Inspection Agency, with the ultimate arbitrator being a clarification asked to the appropriate ASME committee. The required test temperature of Impact Tests for Welding Procedure Qualifications when the minimum design metal temperature (MDMT) is that of liquid helium (-452F). Requirements for pre-use testing of welding consumables (filler metal) when welding liquid helium vessels (MDMT of -452F). ​He was right. In re-reading the article we didn’t discuss these two points. 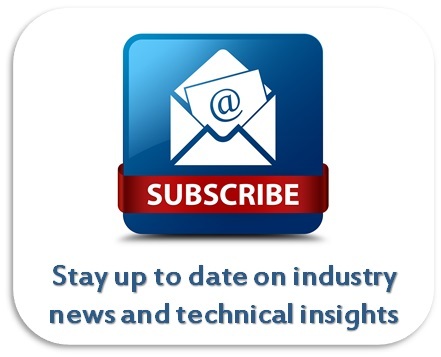 As we are always on the lookout for newsletter topics, we’ll attempt to address them here. Meanwhile, thanks to Walter for the feedback and please watch for your Meyer Tool “Custom Dewar” in the mail. Base Metal: Austenitic chromium-nickel stainless steels (316L and 304L). Weld Filler Metal: SFA 5.9 (ER316L or ER308L) meeting FN requirements. We will assume no thickness (UHA-51) or low stress (UHA-51(g)) exemptions. Test Temperature of Impact Tests for Weld Procedure Qualifications when MDMT < -320FThe requirements for Weld Procedure Qualifications are defined in ASME Section IX Part QW Welding. The manufacturer is responsible for developing written documents which provide instruction to the welder or weld operator for completing a specified production weld. This includes specification of both essential and non-essential variables that ensure the welder achieves a quality weld. These documents are called Weld Procedure Specifications (WPS). The WPS is developed and qualified through test coupons documented in a Procedure Qualification Record (PQR). The PQR records, at minimum, the actual essential variables and test results of the weld coupons. Essential variables are those variables defined in Section IX for a given weld process that must be adhered to without variation when performing the weld. Section IX, paragraph QW-100.1 specifically requires “when other Sections of the Code require notch toughness qualification of the WPS, the applicable supplementary essential variables must be addressed in the WPS.” UHA-51(b) does require impact tests (notch toughness testing) of the qualification welds and Heat Affected Zone (HAZ) per the requirements of UHA-51(a). For the four stated conditions (austenitic chromium-nickel stainless steels, GTAW weld process, SFA 5.9 (ER316L or ER308L) weld filler metal, and MDMT<-320F) UHA-51(a)(4)(a)(2) specifies the impact testing “shall be conducted” at -320F. Thus for the PQR qualification coupons, initial produced to qualify the WPS for the conditions specified, the Charpy Impact Testtemperature is not the MDMT (e.g. -452F for helium) but -320F. This temperature is achievable using liquid nitrogen in the testing process. The PQR qualification coupons do not have to be repeated once the WPS has been written. 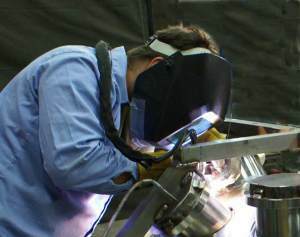 For example our tig welding procedure for low temperatures GTAW-SS/LT is two decades old. What is required for each production run is per UHA-51(h) Vessel (Production) Impact Tests of weld coupons including base metal, weld metal, and HAZ. For austenitic chromium-nickel stainless steels paragraph UHA-51(h)(2) refers back to the requirements of UHA-51(a)(4) and with our stated conditions the test temperature is again at -320F. Pre-use Testing of Welding Consumables (filler metal) when MDMT <-320FFollowing the conclusions above is simple compared to puzzling out the requirements for pre-use testing of weld consumables for the first time. Warning, these conclusions only apply to our four specified conditions. Change any of the conditions and the answer will not be the same. For MDMT <-320F, UHA-51(a)(4) requires that each heat, lot, or batch of filler metal be pre-use tested as required by UHA-51(f)(4)(a) through (c). Pre-use testing is accomplished by doing weld coupons and testing the weld metal. One might think this is accomplished by using the impact test data from the Vessel (Production) Impact Test coupons, however there are additional requirements and exemptions that make for a convoluted logic tree to get to the correct conclusion. We will lay out the requirements in bullet points and work out our conclusions. As required by UHA-51(f)(4)(a) through (c). Does not allow the exemptions of UHA-51(f)(4)(d) and (e). UHA-51(f) addresses when Impact Test for austenitic stainless steel welding consumables with MDMT <-155F are required and lists the conditions. We meet condition MDMT <-155F. We meet condition for austenitic stainless steel. UHA-51(f)(1) limits the welding processes that can be used. The five weld processes listed are SMAW, SAW, GMAW, GTAW, and PAW. Our condition GTAW is listed. We meet this condition. UHA-51(f)(2) requires the WPS be supported by a PQR with impact testing performed at the MDMT. We don’t meet this condition. As we have shown previously, UHA-51(a)(4)(a)(2) requires the PQR testing be performed at -320F not the colder MDMT. UHA-51(f)(3) limits the carbon content of the filler metal. Our filler metal meets this condition. UHA-51(f)(4) limits the filler metals to specific SFA numbers. Our filler metal SFA-5.9 is among those specified. Finally we get to the specific paragraphs referenced to in UHA-51(a)(4). UHA-51(f)(4)(a) This paragraph specifies testing of welding consumables used in the SMAW and GMAW processes. IT DOES NOT APPLY TO OUR PROCESS-GTAW. UHA-51(f)(4)(b) This paragraph specifies testing of welding consumables used in the SAW processes. IT DOES NOT APPLY TO OUR PROCESS-GTAW. UHA-51(f)(4)(c) This paragraph addresses combining of weld processes. We are not combining weld processes. IT DOES NOT APPLY TO OUR CONDITIONS. UHA-51(a)(4) states we cannot apply the exemptions of UHA-51(f)(4)(d) or (e) but for completeness let’s discuss them. UHA-51(f)(4)(d) addresses requirements for weld filler metals not used by our process, so it’s application is mote. UHA-51(f)(4)(e) is actually an exemption to the Impact Test Requirements for ER308L and ER316L filler metals we would use, when used with the GTAW or PAW processes and the PQR has been tested at the MDMT or colder. Of course as stated above, PQRs need only be tested at -320F not the MDMT and the exemption isn’t allowed per UHA-51(a)(4) but this paragraph does nicely add to the confusion. UHA-51(f) requires pre-testing of weld consumables at the MDMT when the productions welds are at MDMT <-155F. Our MDMT is below -155F. UHA-51(a)(4) requires pre-testing of weld consumables per UHA-51(f)(4)(a) through (c) requirements. No other paragraphs are referenced. UHA-51(f)(4)(a) though (c) specifically address the SMAW, GMAW and SAW processes. GTAW is not discussed. Pre-weld Impact Testing of weld filler for the GTAW process is required. The one of the coupons required for Vessel (Production) Impact Tests can be used to provide the data for the pre-weld filler Impact Tests; these coupons are done just prior to the start of production. That the testing is performed per UHA-51(a)(4)(a) at -320F. Understanding ASME requirements and impact of material and consumable selection and use, and appropriately applying this knowledge to various situations is another way Meyer Tool Reduces Project Risk and provides our customers with the lowest total cost of ownership.